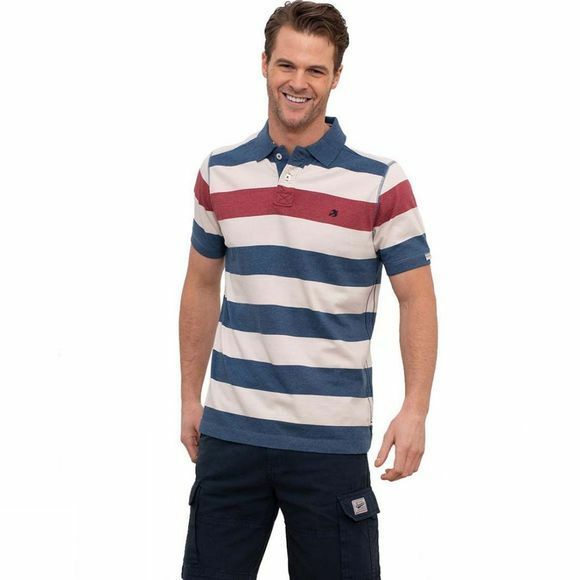 The Men's Block Stripe Polo from Brakeburn certainly adds a bit of colour to your wardrobe! This classic polo has been updated with a block stripe in blue and red. 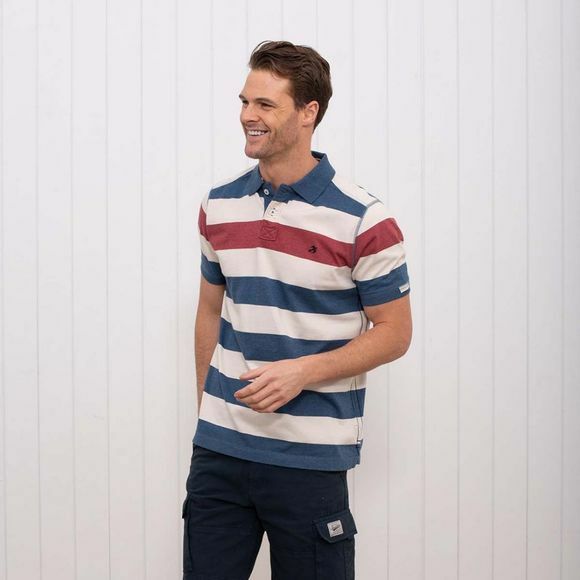 Made from a fabric for maximum comfort, this polo features ribbed cuffs, buttoned placket and embroidered Brakeburn bird logo to finish off the look.